I am extremely excited to have Cath Crowley stop by today and answer a couple of questions for us! 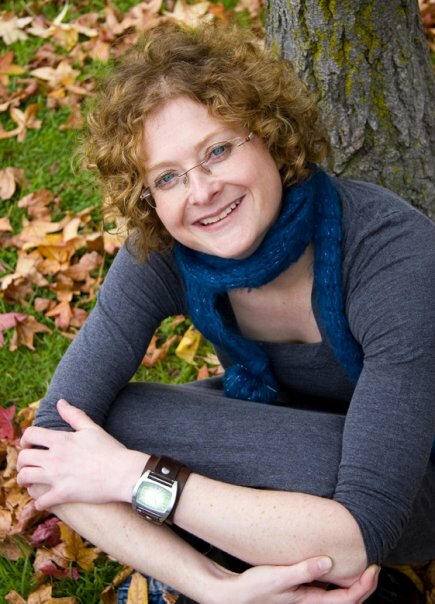 For those of you in the dark, Cath is an Australian YA author who has written the critically acclaimed Chasing Charlie Duskin (published in the US as A Little Wanting Song) and the Gracie Faltrain series. 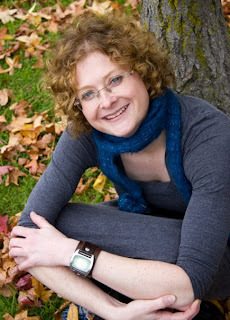 Her latest book, Graffiti Moon, one of my personal favourites and considered one of the best 2010 YA titles by Australian bloggers, was published August 2010 in Australia and is soon to be published in the US. 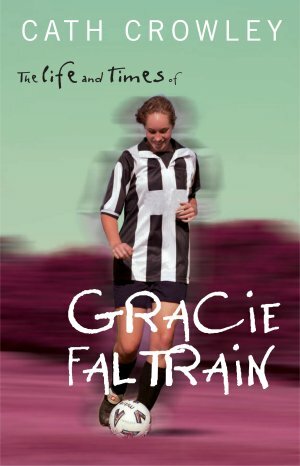 Your debut The Life and Times of Gracie Faltrain was released in 2004. Could you tell us a little about the road to getting your first book published? I studied Professional Writing and Editing at RMIT in 2001, when I was about twenty-nine. 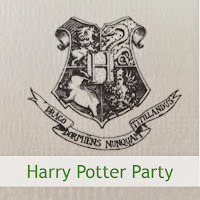 I loved the subjects Literary Non-fiction and Writing for Young Adults. Some of the articles and short stories that I wrote in class were published in newspapers and magazines. While I was writing those smaller pieces I finished my novel and in 2003, Pan Macmillan published The Life and Times of Gracie Faltrain. I had no idea of the editing process at that stage and the editors at Pan were fantastic. They guided me through the editing process and I learnt a lot from them. (I’m still learning). I’ve been published with them since then. Other people’s original images and sentences inspire me to write. Artists like Leonard Cohen, Nick Cave, Clare Bowditch, John Green, Raymond Carver, and Charles Bukowski send me to the computer because I want to put lines together like they do. 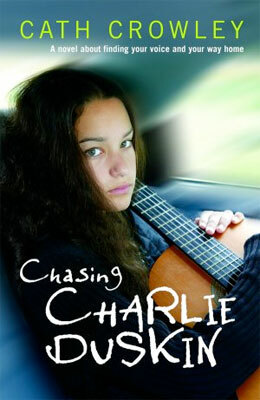 Why did you decide to change the title of Chasing Charlie Duskin to A Little Wanting Song for its US release? I love the way this title was chosen – it was very collaborative. I wrote down a list of my favourite titles and Allison Wortche (my great US editor) wrote her list and some other people at Random wrote their favourites. There were a lot of titles in the mix but that was great because I knew in the end we had the right one. And the whole book is written like a song or a wish – because Charlie’s voice is quite lyrical. 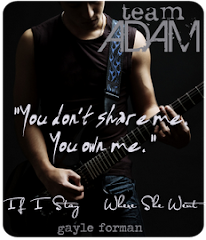 So to name the new book after a song seemed right. You've been editing Graffiti Moon for its US release. Are there many differences between the two editions? 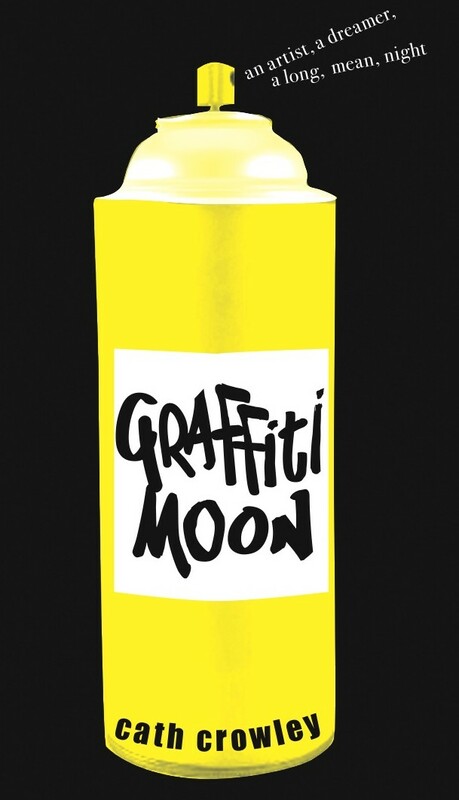 Graffiti Moon is essentially the same. There’s a little more about Ed’s mum, and a little less about Lucy’s parents. There are two more poems by Leo and a little more about Jazz. I really like the two of them so it was fun to add some more scenes. In Graffiti Moon, Shadow is a graffiti artist and Lucy is a glass blower. Did you set out to include these art forms or did they evolve with the characters? I set out to use glass-blowing. I’d seen some beautiful pieces in an exhibition of an artist called Bethany Wheeler. She was generous enough to invite me into her studio and talk to me about her craft. I liked the metaphor and I liked her story. A glass artist had helped her when she was in Year 12 and I thought that was a great idea for a character. Ed began as an artist who worked on paper. In the first draft of Graffiti Moon he was quite playful and he didn’t have problems reading. It wasn’t working, though, so I changed his character. While I was rethinking him, I met a student who told me about a boy who had hands stained by blue paint. At the same time I met a man who had an interest in graffiti and he was generous enough to share what he knew. Ed took off from there. In Graffiti Moon, we get fabulous descriptions of Shadow's graffiti. Where did your inspiration come from for creating these works of art? I knew his character so well by the time I started writing the second draft that his artwork appeared on the page without me having to think much about it. I looked at a lot of graffiti but none of it was exactly right for Ed because his paintings had to show his journey. The artists mentioned in the novel inspired me: Bill Henson, Michael Zavros, Mark Rothko, Rosalie Gascoigne, René Magritte and Vermeer. Both Graffiti Moon and Chasing Charlie Duskin are written from alternating perspectives. Is this way of writing something you will continue with in the future? I’ve almost always written books with more than one narrator. I enjoy it so I know I’ll keep working that way, at least for a while. I love the way that characters like Ed and Lucy bounce off each other, tumbling around each other towards morning. If you were to write sequels, where would your characters be now? I’ve only ever wondered about one character in terms of a Charlie Duskin sequel, and that’s Luke. I’d write about what happens to him after Rose leaves town. He’s never known life without her and it’d be fun to write about him working out who he is and what he wants from the world. I think he works out that Rose is right. There’s more to life than his small town. If you were to team up with another YA author, who would you like to collaborate with? There are so many writers that I love but I wouldn’t want to collaborate with them. I work best alone for lots of reasons. My process is slow and muddled and there doesn’t seem to be any way for me to speed it up or make it more logical. Part of what I like about writing is that it’s solitary. Do you have any favourite current YA releases? I’m working on a book that was called The Howling Boy but I think now will be called The Velvet Highway. Crow and Audrey narrate the story. They go looking for Audrey’s lost brother in a world that’s strange and beautiful and new for Audrey. It’s a mystery and a love story. A massive THANKYOU to Cath for stopping by! I am looking forward to reading The Velvet Highway, whenever that may be! Cath Crowley's website and blog. loved reading this review Jess. I ADORE cath crowley! Nic - Thanks Nic, I saw your interview too. I find it really interesting too see the different questions people ask the same author. Jess, I might be biased being your mother, but I do enjoy reading everything you write and have suddenly become a fan of YA fiction after reading your reviews. Loving A Little Wanting song and thoroughly enjoyed your interview with Cath Crowley.